The E Tū Whānau Rangatahi Film Challenge is an opportunity for rangatahi up to the age of 24 to create films that present their perspective as young people in Aotearoa. Māoriland challenges youth to be creative – to use what they’ve got and what they know to tell their stories. 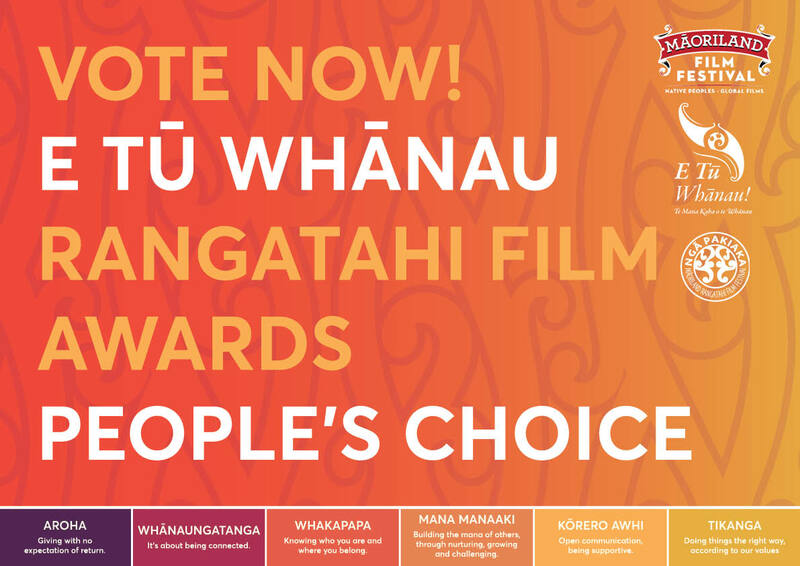 Voting is now open for the E Tū Whānau Rangatahi Film Challenge People’s Choice – click here to watch all the films and vote now! CLICK HERE TO WATCH & VOTE! E Tū Whānau is a movement for positive change developed by Māori for Māori. It’s about taking responsibility and action in your community and supporting whānau to thrive. Rangatahi up to the age of 24 are invited to submit a short film. Māoriland recognises that filmmaking is a team effort and therefore your team may include rangatahi of any ethnicity. Each team must feature a Māori youth in a key position. A key position is a writer, director or producer. They have to play a significant role and feature in the credits of your film. Your film must be no longer than 5 minutes. To submit your film, you must upload it to Vimeo – www.vimeo.com. Please ensure that the film is uploaded at its best quality 1080p recommended (720p minimum) and is set to be able to be downloaded. Please ensure that you include a password to access the film when you complete the submission form. Permissions – you must have permission to film someone, to film on someone else’s property and to use someone else’s creations – music, clips and other imagery. You can find free music on Soundcloud, Youtube https://www.youtube.com/audiolibrary/music . If you write music yourself – ka rawe! You own the rights. The deadline for film submissions is 5 pm on December 21, 2018. New categories may arise with the discretion of the judging panel.